Belarus airline “Belavia” will open flights Kharkiv-Minsk from December 17 as part of the expansion of its activity in Ukraine after the introduction of sanctions against Russian airlines, reported avianews.com. The General Director of Belarus airline Anatoly Gusarov said that the flight cancellation of “Transaero” and the cessation of flights between Ukraine and Russia influenced on the increase in demand. The Deputy Director of airline Igor Cherginets wrote on his page on facebook that “Belavia” has already received permission from the Ukrainian aviation authorities. According to schedule entered to the reservation system, flights Kharkiv-Minsk will be performed daily at Boeing 737. The departure from Minsk at 13:20 and arrival to Kharkiv at 14:25. The time of travel will last 1 hour 10 minutes. 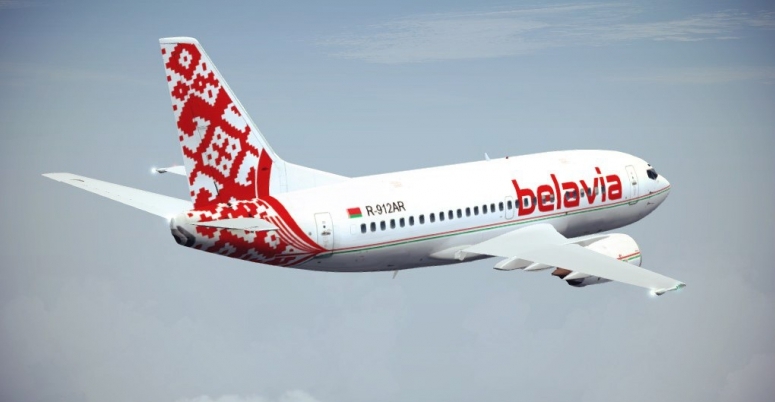 The new flight Kharkiv – Minsk interlines with the direction of “Belavia” to Moscow, St. Petersburg with short interlining at the airport in Minsk. Current information about the minimum tariffs will be known in the near future. Recall that previously airline “Belavia” opened daily flights Minsk-Odessa which interlines in Minsk with flights to Russia. About the doubling of the frequency of flights between Kiev and Minsk also reported the International Airlines of Ukraine (IAU). Department Director Vladimir Kostin earlier mentioned that in the near future it will be possible to consider the opening flight to Kharkiv and talk about the direction to Lviv. The active development of air travels between Ukraine and Belarus started after the direct flights between Ukraine and Russia have been cancelled.